Anyone who wants a pancake flight, say 'I.' That's right - a flight of three different kinds of heavenly pancakes. The wait is brutally long, but we still happily spent two mornings at The Ruby Slipper. With a rotating menu and amazing live music, there isn't anything to dislike about Three Muses. It was so nice we went twice (both trips). Sit at the bar and enjoy some bread pudding (a la mode). It could be the allure of Marigny being right on Frenchmen Street, but I fell in love with the live jazz and dessert combo. Chris enjoyed Oceana Grill's bread pudding better, but I don't think you can't go wrong with either. Have a beignet (or 87) and have one at anytime. That's right, Cafe du Monde is open 24 hours. You're welcome. 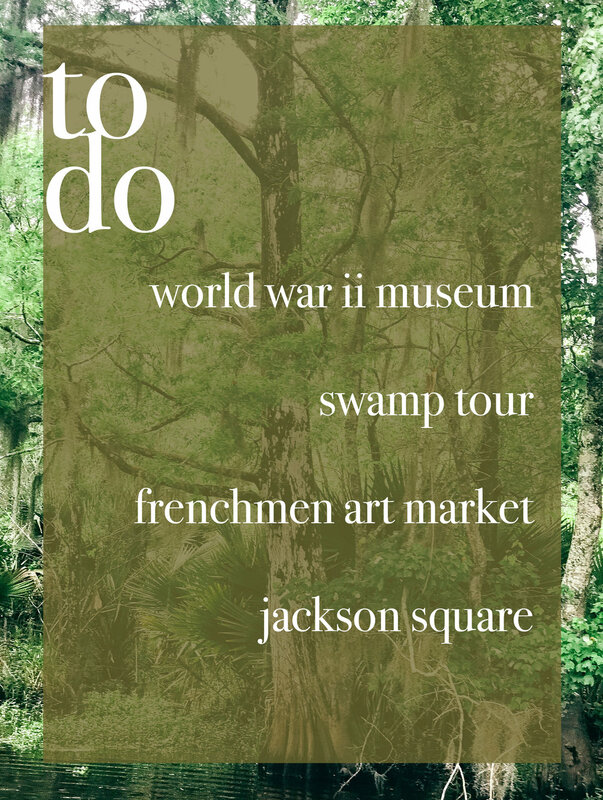 With a more sophisticated vibe than Bourbon Street, Frenchmen Street features live music, an outdoor art market, and the best restaurants and bars. Just a 20 minute walk from the French Quarter and you will not be disappointed.